For March, Kentwood Ford outfitted Pete with a 2019 Ford EcoSport SE. Pete was blown away by how affordable this nimble little vehicle was, and loved driving it around town on his commute. Blending Ford capability with amazing affordability, 2019 Ford EcoSport SE is the perfect commuter vehicle for the budget-conscious driver. Thanks to the highly efficient 1.0L EcoBoost® engine with Auto Start-Stop technology, you get straightforward performance with exceptional fuel economy. The SE trim adds in a standard 6-speed SelectShift® automatic transmission to make your urban driving as smooth and enjoyable as possible. The EcoSport even in throws in some of the latest technologies to enhance your drive, keep you entertained, and keep you connected. Driving should be fun, and the EcoSport packs a lot of joy into a more compact vehicle!  What’s the best Ford SUV to buy? What is the smallest car Ford makes?